Editor's note: We’ve recently captured stories from Minnesota educators like those in Bloomington and White Bear Lake. As we spoke with them, we were struck by how they go out of their way to support their colleagues. In the spirit of Thanksgiving, we asked these Minnesotans to share how their work together--and how their own teachers--inspired their love of learning and teaching. If you want to connect with more educators in your area, find your nearest Google Educator Group. Mike: How do you foster the close collaboration we see among Minnesota teachers? Mark: I think a lot of our collaboration comes from the tradition among Minnesotans of a strong work ethic. People are willing to put in the time to help their communities. Ben: Minnesota is an education-forward state. There’s a large community of people who have connected over the years at various events and online who share a passion for changing education. Sean: Teachers are a special breed of folk. They give themselves over to making a difference in others’ lives. The thing that I do to foster that collaboration is provide space, time and tools. Katrina: I look to three key ingredients: culture, tools and time. Culture is seeing the “we” and “our” in everything. These are our students, not my students. Tools like Google give us a starting point — a place for collaboration. The last piece is time: giving teachers the dedicated time to work together every day is essential. Molly: We know that we’re better together. We’ve created an amazing network of teachers and specialists that share ideas and best practices, and know the lessons we have learned can really help other schools in the area. We share ideas at local conferences, present and attend the Summits featuring Google for Education, and participate in our Twin Cities Google Educators Group — all of which create an amazing network. Mike: How do you help teachers support each other? Mark: In my district we offer year-long training for educators to become technology leaders in their schools. Molly Schroeder actually created and teaches the program, and it’s made a big impact. Participating teachers get 10 semester credits, and the school district pays part of their course fees. After this year, one in 10 teachers in White Bear Lake will have completed the program. Ben: One great channel for teamwork is the Google Apps Hive, an interdistrict professional development program. The Hive connects pockets of innovation in schools throughout the region and brings together teachers in Google Apps for Education districts to share their best ideas, workflows, lessons and strategies. The goal of the Hive is to increase the quality of professional development and spread the word about good technology integration practices. Mike: Which educator are you thankful for, and why? Sean: My dear friend Andrew Rummel, a former English teacher who’s now teaching English education at St. Cloud State University. We share a sense of the possible and the potential in education. He challenges and encourages me to remain dedicated to learning about the hard stuff. How do we do better for all kids? How can we use teaching to improve the world for our own children, and the children of people we'll never meet? Katrina: I am profoundly thankful for our middle school media directors: Karen Qualey, Tara Oldfield and Christina Lindstrom. They get stuff done with a can-do attitude — they’re focused on students and learning and they’re willing to experiment, fail, learn and iterate. 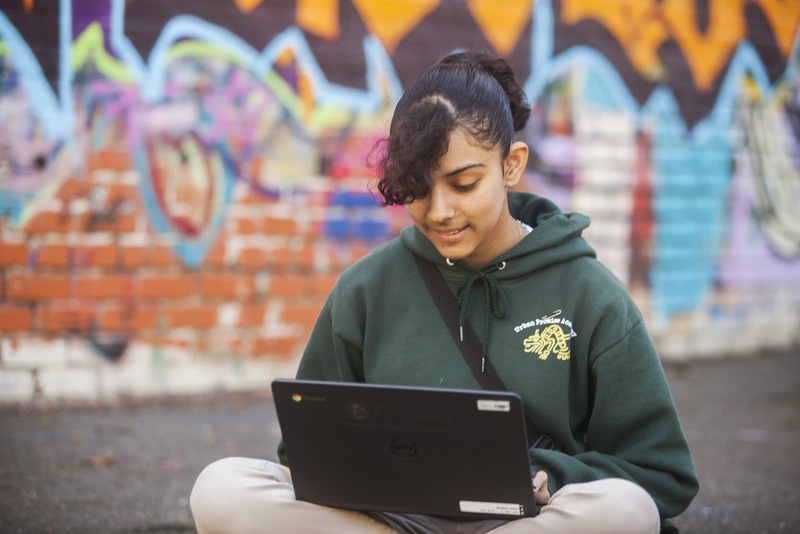 Because of their leadership, Bloomington Public Schools smoothly introduced 2,500 Chromebooks for all of our middle school students, a process that would have certainly been less successful and more painful without them. Molly: My mom. She was a kindergarten teacher for 36 years, and touched the lives of so many people in our community. When I became a teacher, I knew that I wanted to know the students I taught as well as my mom knew her students. She showed me that being in education didn't just mean teaching the students, but really knowing them and their families. To this day, former students stop my mom and tell her what a great teacher she was, because she cared about them. Editor's note: From the typewriter to the propelling pencil to our favorite, the world wide web, inventors and innovators from the United Kingdom have brought us brilliant advances that have changed the way we work all around the world. During Global Entrepreneurship Week, we’ll promote entrepreneurship in the UK through a handful of stories from early-stage disrupters and trailblazers who are using Google Apps for Work to overcome the challenges of starting a new company and inspiring others to start businesses. Today, we hear from Rob Forkan, co-founder of Gandy's, a flip flop brand dedicated to helping orphans. My brother Paul and I started Gandy’s with the idea that something as simple as a flip flop could be inspiring. In 2004, when Paul was 11 and I was 13, we lost our parents in the Indian Ocean tsunami while on a family trip in Sri Lanka. After returning to London and finishing our education, we wanted to find a way to honor our parents’ spirits while helping children less fortunate than ourselves. We decided to create a sustainable brand to give back to children in need. 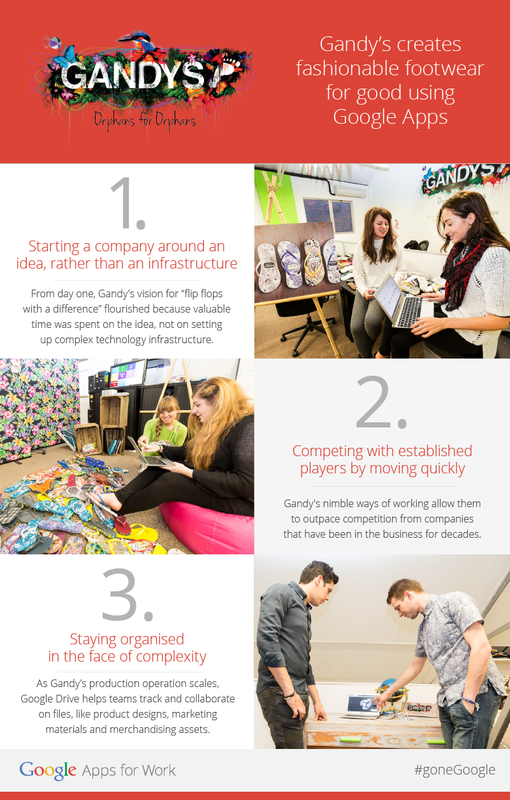 From day one, we faced the challenge of immersing ourselves in Gandy’s without worrying about IT issues. We started with an enthusiastic group of young people, many who worked part-time from home, and needed technology that matched our flexible style. Google Apps helped us get the team set up quickly, easily and cost-effectively. It took me five minutes to give the whole company their own accounts. Because everyone had used Google technology before in their personal lives, I didn’t have to train anyone, which allowed us to focus on the product. A year and a half ago, we bought Chromebooks for our team of seven so they could work from home, our kitchen table, a music festival, or wherever they happened to be. 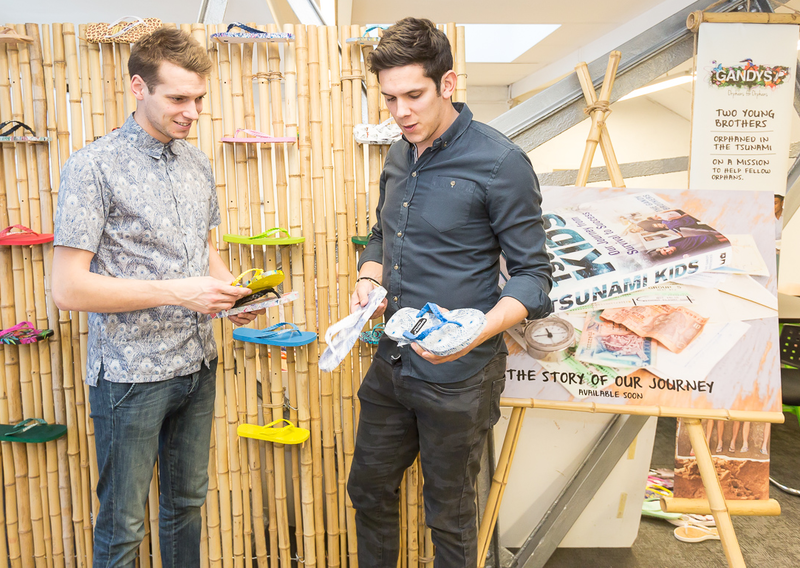 As we started selling our flip flops, we realized we faced competition from companies that had been in the business for decades. Our success depends on reacting quickly to trends and adapting to consumer desires. We use Apps to work more efficiently, whether that’s viewing one another’s calendars to set up meetings or using Google Drive to share a photo of artwork that could inspire a new flip flop design. We rely on the mobility of Gmail, Docs and Drive to share ideas as they strike, and keep on track of our work when we’re on the go. One of the first barriers we faced was breaking into both wholesale and online retail, two different markets with different processes. We started using Drive to keep track of our product designs, marketing materials and merchandising assets so we can stay united as a team. Shared folders organize everything product-related, which lets us work faster on design and ensure our final products look great. Our designers easily store and share inspiration artwork, product sketches and design files. Once the design is complete and the product manufactured, we share photos with retailers so they can see how the product will look on the floor as well as on a computer or mobile screen. We face a different challenge every day, especially as we continue to set our sights higher. Hundreds of thousands of flip flops and cups of coffee later, we’ve proven to ourselves that we can overcome these challenges using the fast and flexible technology of Google Apps. Editor's note: From the typewriter to the propelling pencil to our favorite, the world wide web, inventors and innovators from the United Kingdom have brought us brilliant advances that have changed the way we work all around the world. During Global Entrepreneurship Week, we’ll promote entrepreneurship in the UK through a handful of stories from early-stage disrupters and trailblazers who are using Google Apps for Work to overcome the challenges of starting a new company and inspiring others to start businesses. Today, we hear from Kiyan Foroughi, founder and CEO of Boticca, a curated global marketplace for original fashion accessories. While traveling in Morocco in 2008, I met a jewelry maker named Myriam who commuted four hours daily between her village in the Atlas Mountains and the market in Medina. I knew there had to be a better way for talented independent designers to sell to consumers and share their stories with the world. I returned to my role in finance with my interest piqued in solving this new problem. After a year of research and planning I quit my job to start building an initial team and website. Since launching in October 2010, Boticca has connected global customers with high-quality, handcrafted fashion accessories, designed all over the world. In the early days, we had to move quickly despite the constraints of a limited budget. Our team of six used separate tools for email, calendars and document-sharing, but when you stacked them together, our Frankenstein solution cost up to £30 per user each month. In July 2010, we switched to Google Apps to bring email, calendar, docs and sheets together into a single product. Since we can pay on a monthly basis with Apps, we didn’t have to invest a large sum upfront or sign a binding contract, as is common practice with other vendors. I can add accounts for staff as they’re hired rather than buying 100 licenses but using only 40. Besides saving us money, Apps gives us flexibility. Before we built our editorial team, we relied on clusters of freelancers to outsource work. We wanted to give external partners access to our workflows, brand guidelines and internal information in an efficient way. Google Apps helped make the experience working with freelancers seamless. When we worked with a freelance editor to write the product descriptions on our website, we used Google Sheets to share product URLs and deadlines for each 100-word description. Our development team could open the shared Sheets to see the descriptions take shape as the writer typed them, and then use the content to populate the website right away. One of the first balancing acts we faced as a new company was managing the administrative side of the business while building our product. We like to test our product, break it, then re-test something new. If we had burdensome IT concerns about our tools, we wouldn’t be so nimble. 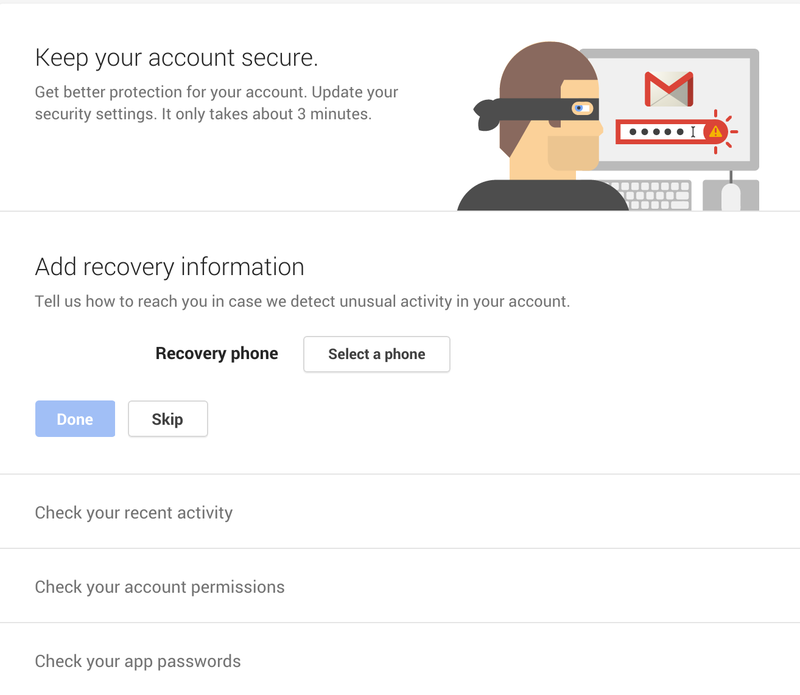 Fortunately, Google Apps is easy enough for us to manage on our own. It’s so easy to use that the technical team can focus on running our platform and addressing customers, rather than managing users. When a we hire a new person to their team, we have access to set up a new account in the admin panel ourselves. As we grow, we need to maintain a culture enabled by technology rather than hindered by it. Google Apps tools help us maintain transparency and inclusion through immediate communication and easy sharing. One of our style-hunters uses Google Slides to create weekly presentations about new brands she has found to join our website. People working remotely can follow along with the latest version in Google Drive without having to email her for the file. Effective communication is the first step toward empowering each person in the company to take ownership. Customers love being surprised and inspired, over and over again. With this in mind, we strive to come up with new ways to fulfill our purchasing philosophy. Tools like Google Apps step out of the way and let us focus on consistently delivering these ideals to both our customers and designers. If we didn’t have the ability to work and communicate together so nimbly — both inside and outside the company — Boticca wouldn’t have been able to achieve the success we have today. Editor's note: Continuing our EdTech leadership series, today’s guest author is Ryan Bretag, Chief Innovation Officer at Glenbrook High School District 225, in Illinois. Since age six Ryan has “thought big” about education, questioning why we do what we do and how we can do better. After spending 15 years in schools, his current role focuses on innovation, whole-child education and technology initiatives. Ryan is also completing his doctoral work on spaces people inhabit for learning. To learn more check out the full interview with Ryan or view these recorded sessions on innovation at work from Atmosphere Live. It’s probably shocking to hear this, especially now that I’m an educator, but when I was a student I really disliked school. I had a hard time because there was not a lot of freedom — there were so many constraints. But one day something memorable happened. My teacher asked us to write a story about a place of interest in the United States. I drew an underwater school of the future. My teacher gave me a zero and said I had not addressed the assignment, but she also gave me 100 points of extra credit for creativity. It was the first time that I was really rewarded for being creative. That teacher lit a fire in me. When I became a teacher, I realized that technology was one of the best levers I had to give power to students. During my second year teaching, my director of technology came to me and said, ‘There’s this thing that people talk about where every kid has a computer — what do you think you could do with that?’ I responded, ‘Oh, I hate technology; I couldn’t do that.’ She said, ‘Just think about it.’ I spent a weekend thinking and came back to school Monday with about 50 pages of sketches and diagrams of things that I could do and shared with students to get their ideas. Next thing I knew, my class was one-to-one with a device for every student. I was hooked. Technology fundamentally changed everything about how I taught and more importantly how students learn — it created student choice and empowerment. It opened doors that I had never even seen before. Now as the Chief Innovation Officer at Glenbrook I am trying to help the whole district improve learning for students by supporting learners, teachers and students alike, with technology and innovation. In my role I focus constantly on creating two things in our district: more ownership and agility. We want teachers and students to have more ownership to bring their own creativity and passion to their work. And we want them all to have more agility — to be able to move quickly with new ideas. One thing we did to create more ownership and agility for our teachers was to audit of all our common practices. We asked ourselves, ‘do these practices create more ownership and agility or less?’ We then scaled practices that did and adjusted those that did not. This was one of the reasons we switched to Google Apps for Education. We saw that our old email and writing system didn’t provide enough ownership to students and teachers, but Google Apps did. After a few years, I am happy to report that we’re seeing teachers take ownership of the IT tools. For example, when Classroom was introduced to Google Apps for Education, I simply sent an email announcing this to 500 faculty members. I included a few links to get started — that was it. A few weeks later, we had more than 200 people already using it. Five years ago, if I had sent that email people would have asked for training first, or been more apprehensive of a new tool. We’ve also put curriculum in place to support autonomy and agility for students. One of the things that we’ve borrowed from Google is the notion of 20% time. It fascinated me that employees could spend 20% of their time learning whatever they wanted. We now do this across our schools. We run a program called Spartans Connect. 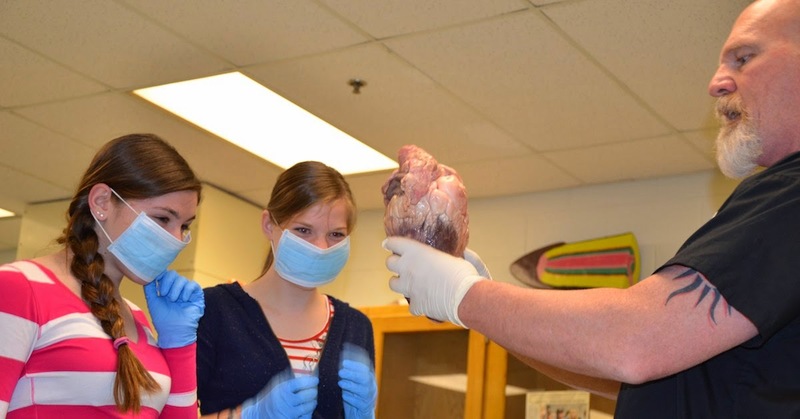 It’s a one-day conference during which students run workshops about their passions. For example 250 kids attended one student’s workshop on Harry Potter — they dressed up and played Quidditch while also exploring the thematic components from mythology and religion. The student leader had hundreds of kids in the room, and she had them sitting on the edge of their seats. My advice to other educators trying to create more ownership among teachers and students is to question what you are doing, the “why”, and encourage people to experiment with new ways to solve problems. When your teachers are empowered, they empower their students too. I think successful schools “embrace the crazy.” Be OK with some ideas being a little bit out there and be comfortable with some failure along the way. Editor's note: From the typewriter to the propelling pencil to our favorite, the world wide web, inventors and innovators from the United Kingdom have brought us brilliant advances that have changed the way we work all around the world. During Global Entrepreneurship Week, we’ll promote entrepreneurship in the UK through a handful of stories from early-stage disrupters and trailblazers who are using Google Apps for Work to overcome the challenges of starting a new company and inspiring others to start businesses. Today, we hear from Lisa Rodwell, CEO of Wool and the Gang, a handcrafted knitwear brand bringing fashion from factories into the home. The rise of “maker culture” has revived craftsmanship in the last few years, but our co-founders Aurelie and Jade were ahead of the trend. 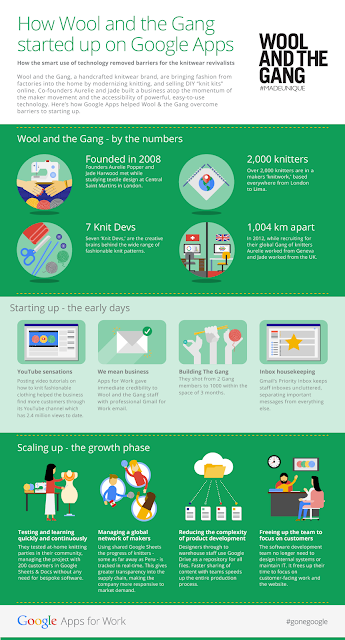 They started Wool and the Gang back in 2008 to modernize knitting, and began selling DIY “knit kits” through retailers. In 2013, Aurelie and Jade raised funding and hired a team of seven to embark on a new journey: building an online fashion brand powered by the maker movement. More than 2,000 knitters have applied to be part of our gang, ranging from novices to experts, everywhere from London to Lima. We work with 200 of these “Gang Makers” at any given time, and thanks to Google Apps, communicating and collaborating with them is a breeze. Our Gang Maker manager uses shared Google Sheets to track the progress of all 200 knitters in real time; each one is updated constantly and instantly by knitters, providing greater transparency into our supply chain and enabling us to respond better and faster to market demand. It’s more cost-efficient and far less laborious than building a custom backend solution or emailing version after version of Excel spreadsheets as attachments. We launch new products every week and ship them around the world, which poses a significant challenge as a company of 25 people. We coordinate product development more effectively by using Google Drive as a project collaboration platform. Our knit developers, who create the patterns for our knit kits, use Drive as a repository for all pattern-related files. They create pattern templates in Google Docs and share them with tech editors for approval. Then, the knit devs adapt the patterns to InDesign files, which they can upload to Drive and share with designers to finalize. Warehouse staff print the pattern files directly from Drive, then assemble them in a knit kit. Sharing our content easily allows us to reduce the complexity of product development and get our products out the door. As a small company, we have seemingly infinite challenges to tackle with limited resources. Google Apps help us make the most of our time and our technology investment. We can test something new, like an at-home knitting party, using tools we already have, like Drive for sharing and Gmail for communications. And because Apps for Work is easy to use, we don’t have to spend time on extra training. We can spend our energy on improving our products. Wool and the Gang is all about creating, teaching, sharing experiences, and having fun while doing it. Our technology gets out of the way so we don't have to think about the barriers of growing our business. We can focus on pushing our knitting movement forward. 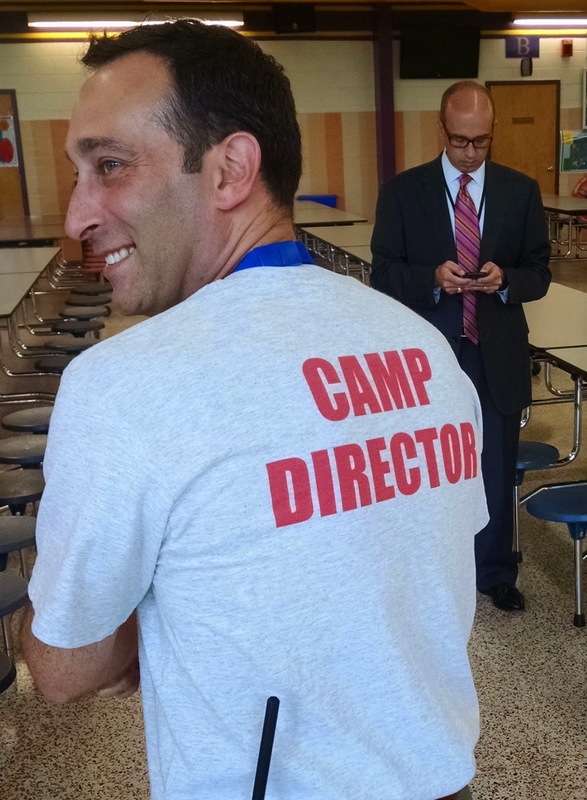 Editor's note: Continuing our EdTech leadership series, today’s guest author is Adam Seldow, Executive Director of Technology for Chesterfield County Public Schools in Virginia. In June we shared that Chesterfield purchased 32,000 Chromebooks for distribution to middle and high school students over the course of two years. Today, Adam explains how Chromebooks have impacted Chesterfield, and gives advice to other schools planning technology roll-outs of any size.. Communicate often—more than you think you should. We communicate via our Anytime, Anywhere Learning website, which includes a section where people can submit questions. We post the answer to many of the questions we get on the site. Having a public website has two benefits. One, it informs the community when they have questions, and two, it unifies our message and provides the school administrators with a clear way to communicate about technology. Before you get close to deploying devices, make sure the technology prerequisites are in place. For example, we tested and reconfigured our wireless network a number of times. 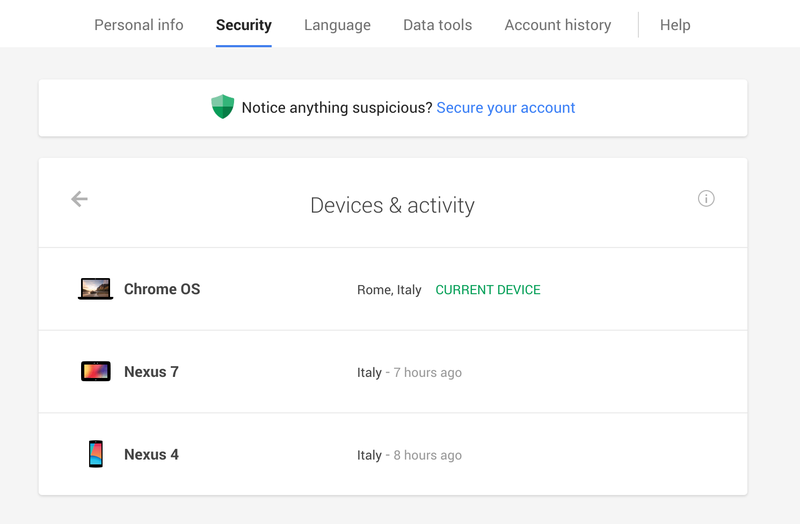 We tested the Chromebook configuration and our settings in the Google Admin console a number of times. We gave Chromebooks out to a few kids to take home last year to test the home content filtering. We tested and tested and tested again. We had huge support in this preparation from our vendor, Dell, and their sub-contractor TIG (Technology Information Group), who had logistics like this down to a science. In order to be successful when deploying Chromebooks, we involved the district's schools in planning. We met individually with each Principal and discussed everything from which room we’d use for Chromebook distributions to how they could enhance existing curriculum to benefit from the new technology. These meetings helped the schools realize that we weren’t going to take a one-size-fits-all approach for each school. The Tech Department alone should not run device distribution. (1) we made it fun; (2) we put the teachers in the students’ shoes; and (3) we made the full training optional. 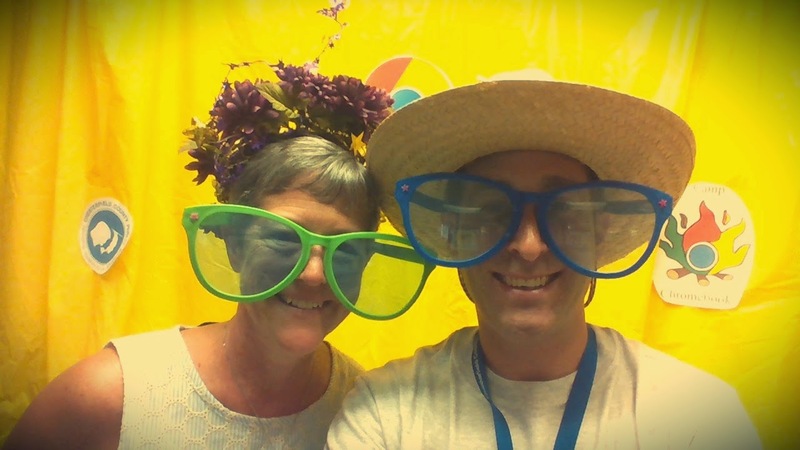 We asked for volunteers from the middle schools to join us for a two day training over the summer called “Camp Chromebook.” We didn’t know what to expect for sign-ups, because we weren’t offering to pay teachers to attend. On the day registration opened, all 300 spots filled up within a few minutes. At “Camp”, the teachers became the students: they went through a dry run of our onboarding process and visited different classes to learn different topics. Camp also helped us load-test our wireless network since we had 30-40 Chromebooks in each room. It was an unbelievable success, not to mention a really fun way to help faculty get to learn hands-on about the devices. When these teachers returned to school, they shared their knowledge with others who didn’t attend. Worked with schools over the summer and the early weeks of schools to send and collect all the necessary paperwork (e.g. parent permission forms, acceptable use policies, fees). Created a card with a scannable barcode for each student to show they had paperwork completed. Distributed devices to students during their English classes (since that is the only subject that every student has every year) and gave them cards with barcodes and their student ID number. Brought students to the gym or media center by class. We’d scan the card and then have the student walk to stations to pick up their Chromebook, their charger, and their device case. We already had everything unboxed and ready to go. After receiving their devices, students returned to their English classrooms for a 15 minute onboarding session led by one of our designated technology coaches. We had a technician on hand for any immediate support (e.g. spot changes for passwords). The session walked them through set-up: from logging in to taking selfies (what is it with people and selfies!?) and navigating the home screen. We also had each student activate the content filter, a critical step to keep them secure on the web. Chromebooks have met their promise of easy set-up and management. I am happy to report that we exceeded our goal of getting all devices to each school in two days per school. When we roll out devices to other grades next year, I think we can get it down to one day per school. But we’ll keep “Camp” as two days — that was too much fun and too useful to shorten. Most new SMBs are cloud users. 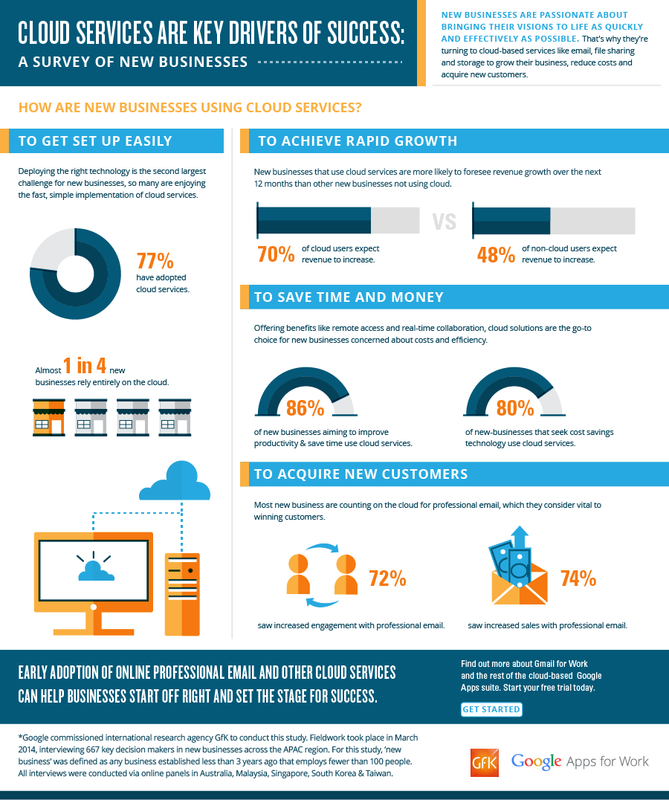 77% of companies that participated in the study have adopted cloud services. Cloud technology tends to be easy to set up and manage, so new business owners can let their IT run itself and instead focus their time on the work that matters . Editor's note: The New York City Department of Education Division of Instructional and Informational Technology recently approved Google Apps for Education as a supported tool for their schools. For the first post in our EdTech leadership series we interviewed the Chief Information Officer, Hal Friedlander. We’re inspired by his approach to understand schools’ needs, so asked him to share more about his team’s work and their decision to authorize Google Apps for Education & Chromebooks..
Part of what makes New York City unique is its diversity. Each of the five boroughs has a rich mix of people and cultures, which is reflected across the more than 1 million students at over 1,800 schools. While some see this variety and scale as a challenge in offering technology for schools, I see it as a benefit. In NYC, we have more schools innovating, more schools piloting technology and more schools leading the charge in finding the right tools for teachers and students. At their core, schools are learning organizations. Teachers learn something new then help their kids learn it; they’re professional learners. And they know what they need much better than I do as an administrator. The Division of Instructional and Informational Technology (DIIT) team at the Department of Education listens to what educators want, understands what drives these asks, and then translates their needs into technology requirements and an IT strategy that helps students learn. We take the same approach here in NYC as I did in my years working in the private sector — we use the customer engagement model. We treat schools as customers and engage them as advocates of the technology. The educators who live in the community and teach students every day have the best ideas about what they need in technology, not a guy like me who works at the 30,000-foot view. The job of my team is to support technology choices that will help the schools. Over the last year, we saw more and more schools using Google Apps for Education. After evaluating it centrally we decided to add Google Apps to our list of approved and supported tools for NYC schools this year. A number of factors drove this decision. First, a number of schools were already using Google Apps for Education. Second, since Google Apps doesn’t require special technical skills, schools were able to customize the tools to meet their specific needs. This included everything from fostering parent engagement, to managing classrooms, to creating and sharing online curricula. Administrators told us they liked Google Apps because they could be as open or restrictive as they wanted in terms of how much communication they allowed beyond the school domain. From a central office perspective, we authorized Google Apps because it integrates easily with our existing systems and we find it very easy to manage. This means tasks like setting up student sign-on for identity management are straightforward, and we don’t have to spend a lot of resources to manage domains. The tools are intuitive, so we haven’t had to offer much training. We created a NYC DoE Google Apps for Education Resource Center to help people get off and running. We take the same approach to evaluating devices as we do to evaluating other tools. We saw that many schools wanted to use Chromebooks, and in our assessments, found them to be an affordable, manageable option for learning. So we worked with the OEMs to ensure Chromebooks met all our specifications, and added them to our list of approved school devices. We want the schools to have choices — whether it is a laptop or a tablet or both — across price range and functionality. People say that things can’t move quickly in the public sector, but I don’t believe that. If you’re committed to listening to the schools, finding out what they need and setting goals against getting it done, you’ll make things happen. Editor's note: From the typewriter to the propelling pencil to our favorite, the world wide web, inventors and innovators from the United Kingdom have brought us brilliant advances that have changed the way we work all around the world. During Global Entrepreneurship Week, we’ll promote entrepreneurship in the UK through a handful of stories from early-stage disrupters and trailblazers who are using Google Apps for Work to overcome the challenges of starting a new company and inspiring others to start businesses. Today we hear from Alex Klein, Co-founder and Chief Product Officer of Kano, a London-based startup building DIY computer kits that are inspiring a new generation of coders. At Kano, we're creating a new type of computer that anyone, anywhere, can build and code themselves — we've designed it for all ages, all over the world. It's part of our vision to democratize computing, to give the majority world a way to take control, make, and play with technology -- instead of just consuming it. We started off in November 2012, when my little cousin Micah challenged us to create a computer he could make himself, "as simple and fun as Lego." Just under a year later, our Kickstarter crowdfunding campaign exceeded its goal of £59,000 in 18 hours and went on to raise £900,000. Even Apple co-founder Steve Wozniak pledged for a kit. To tackle the major challenges we knew we would face on our journey to a new, physical, worldwide product — shipping to 87 countries — we needed to deploy tools that would allow us to work in the best possible way. We also needed technology to help us overcome barriers we would face in getting Kano to market. 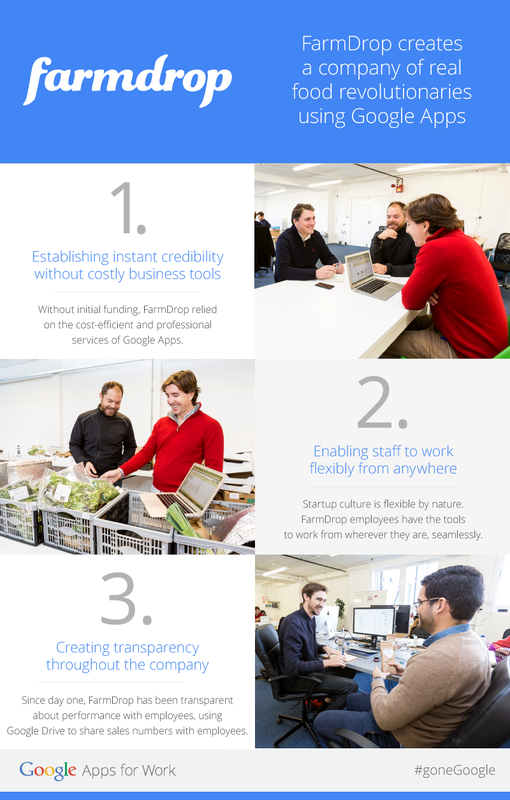 Here are a few ways Google Apps for Work helped us overcome our challenges. The idea for Kano started in a Google Doc, quite literally, right at the very beginning of our journey. I was in the UK and my other co-founder, Yonatan, was in Israel so we wrote the story of our business in Docs, commenting back and forth frequently. Then, we would get on Hangouts to discuss the ideas. This went on all night, and by the next day we had a beautiful launch plan. Google Apps helped us overcome geographic barriers from the outset, enabling us to work from anywhere and reach early collaborators and advisors from the UK, US and Israel. All our collective ideas melded together in one living, breathing document, taking Kano from concept to company. We’re fast, agile workers who thrive on getting creative ideas suggested, digested and tested as fast as possible. In order to keep up with the fast pace of product development, we needed a collaboration platform that could store all our thinking, content and planning. When we looked at Google Drive for our storage needs and weighed it against other options, like Dropbox and Microsoft’s SkyDrive, we concluded the latter environments were too static. We needed the fluidity that Google offers with an interconnected family of Apps. Google Drive plays a key role in storing, sharing and syncing our ideas and planning. Given the pace at which we work, we can’t be held back by working in silos. Drive enables us to work in a new way by enabling our spontaneity, giving us freedom to improvise against many brainwaves at once. We weren’t initially sure how much mass appeal Kano would have. Today we’ve delivered our first 20,000 units to over 80 countries. Suddenly, we have thousands of customers with valuable insights that can help us grow. I found a great way of getting insights from them on how to improve Kano was through Google Forms, which we used to assemble our first customer insights survey. We reached 13,000 customers and got over 1000 responses in 12 hours. The form only took 45 minutes to assemble. We learnt that if we compiled a resource of ten easy projects and put them front and center in our online community, we’d have Kano kids engaging for longer. At our next board meeting, we impressed investors with the customer love Kano received, as well as the granularity of the feedback we were soliciting. It’s key to our culture that we have the freedom to reach our customers instantly. Their feedback allows us to iterate Kano faster, and keep our ears to the product pulse. We’re a small team of 20-somethings with eclectic backgrounds. Google Apps speak to our generation’s business needs. We expect the same technology at work as we do in our personal lives. I’m 24 years old and, like my co-workers, wouldn’t expect anything other than Google at work. The regular stream of Google Apps product updates make us confident we can continue stay nimble and work better together. What really matters is the way all these services integrate harmoniously, with simple setup, and allow us, the entrepreneurs, to focus on our main mission — delighting our customers. With busy travel schedules we stay connected with Hangouts and the Gmail app on our mobile devices. We collaborate and store all of our business files in Drive and ensure we stay in sync with deadlines by using shared Calendars. We like to think of computers as open boxes, filled with possibility — once you dive in and learn how to change the rules, you unlock new powers, and new ways to play. Our goal is to help you find a way into this exciting world. What we’ve done with Kano is a starting point. We’re extraordinarily excited to see it reshaped and re-imagined in the hands of thousands around the world. Editor's note: Karen French works in instructional technology support for the University of Texas at Austin’s College of Education, helping to train the next generation of teachers. The freshmen who enroll at the University of Texas at Austin have grown up in a world of ready-at-their-fingertips cloud applications that they can use anywhere and everywhere. However, storing files in the cloud and collaborating on documents in real-time is still a thing of wonder to me and the faculty in my department, the College of Education – we’re old enough to remember the days of sharing documents with thumb drives, not to mention marking papers by hand. Since our students have grown up with Google, it shouldn’t have been a surprise that in 2011 they cheered our decision to bring Google Apps for Education to UT Austin for 50,000+ students and 24,000 faculty and staff. Campus-wide, Google Apps and Google Drive make learning and teaching much more flexible. On a campus this size, in the middle of a major city (with major traffic headaches), not everyone can always be in the same classroom at the same time to work together on a project. Students are used to shifting from a laptop to a tablet to a phone and back, and with Drive, they can get hold of the study guides or in-progress research papers when they need them on whatever device they’re on at the moment. Our campus users currently store nearly 5 million files on Drive today. For all of UT’s professors, as well as the future teachers we’re training at the College of Education, Google Apps has been a revelation. It’s upended, in a good way, how we reflect on and think about teaching. Google Apps takes down the walls and time constraints of being in a classroom. Teachers can collaborate with students outside of the usual class times, making learning happen more organically. The collaborative benefits of Google Apps aren’t just for the classroom. Our professors use Google Docs to work together on papers for conferences. UT Austin administrative staff use Google Forms to get quick feedback without the need to collect paper surveys or wait for email responses. To learn more about Google solutions for Higher Education, join our webinar with Georgetown University on November 13 at 12pm PST and with Rowan-Cabarrus Community College on November 20 at 11am PST. Editor's note: Today’s post comes from Matt Thorne, Head of IT at Pinterest, the discovery and inspiration tool that has attracted 70 million users worldwide. To learn more about this story live, join Thorne in an upcoming Hangout on Air to talk about infusing startup innovation into any culture by reimagining the way we meet. As we approach our fifth year, we continue to embrace our startup culture — the fast-paced, dynamic work environment that keeps us innovating. Staying agile means prioritizing face-to-face collaboration between our employees, which was easy when we first launched and worked from a single building. As our workforce has grown to 400+ employees, we’ve spread beyond our headquarters in San Francisco and opened offices worldwide. We had been using a mix of conference bridges and mobile phones for meetings but needed a better way for people to connect with one another. We’re always using technology to work more creatively, so when I was invited to take part in a beta test for Chromebox for meetings, I jumped on it. The price was right, which is important for a young company. While legacy video conferencing systems can cost millions, we’ve spent a small fraction of that with Chromeboxes. Setting up our 60 devices was easy and people can use them without constant IT hand-holding. They’re now in nearly all of our San Francisco conference rooms, as well as smaller all-hands spaces and in every remote office that has a conference room. One of our core company values is “knitting,” which translates to working across disciplines for the best possible outcome. Chromebox for meetings has enabled us to knit and maintain important parts of our company culture by helping people in remote offices feel connected to us in San Francisco. We erase the distance between offices (and desks) and empower people to make an impact when they come to meetings. Our employees have found ways to use Chromebox for meetings beyond our internal meetings, including interviewing job candidates with Hangouts and conducting new-hire orientations via video calls. It’s an easier way for everyone – even remote employees or those in another building – to get the training they need. At Pinterest, we’ve come so far so fast because we help people save and discover their favorite things online. To keep our users engaged, we also need to keep that spark of creativity alive in our employees. Chromebox for meetings helps us engage with our colleagues near and far, so the marathon runner pinning tips to train for the big race or the DIYer remodeling his bathroom — and everyone who loves to discover new ideas — continue to get inspired every day. Editor's note: As 11/11 rolls around each year, we’re reminded of the veterans who selflessly serve our nation with great honor. We’re especially inspired by the veterans who return to civilian life to build successful small businesses — the engine of our economy. To celebrate those who serve our country in more ways than one, we sat down with vet-run companies to learn the stories behind their vision, the influence of the military on their business philosophy, and their advice for aspiring veteran entrepreneurs. 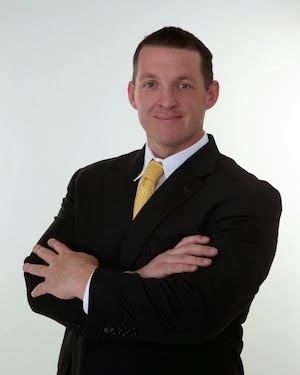 Here, we hear from Todd Connor, Operation Iraqi Freedom Navy veteran and current CEO of The Bunker, an incubator for veteran-owned technology companies. Entrepreneurship is a commitment to solving problems, and I’ve committed to solving one that’s especially close to home for me: helping veterans start and grow businesses they believe in. 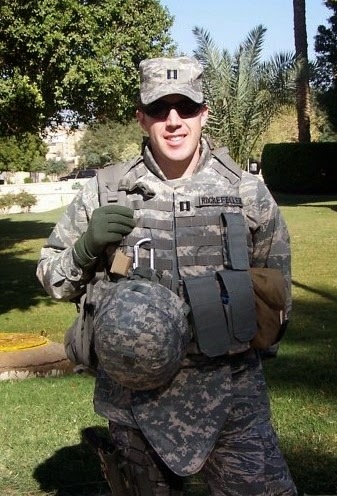 My own military journey began as a freshman at Northwestern University, when I joined the school’s ROTC program; four years later, I was commissioned as a Navy Officer and eventually served in the Persian Gulf as part of Operation Iraqi Freedom. 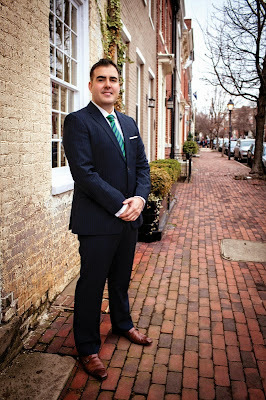 After returning to civilian life, I got my MBA, worked as a consultant at Booz Allen Hamilton and started a few companies. While I loved the excitement of entrepreneurial life, I missed the purpose and community of the military. Then the idea for The Bunker took shape, and I finally found a way to marry my passion for entrepreneurship with my desire to work with vets. The Bunker is an incubator for vet-owned technology startups and aspiring veteran entrepreneurs. We help them with strategic business decisions and plans, connect them with investors and mentors, and guide them through the unique regulations around running a certified veteran business. We just launched last month, and with support from the likes of Chicago Mayor Rahm Emanuel, Illinois Governor Pat Quinn, the Tillman Foundation and 1871, we’re off to a solid start. In many ways, military experience gives vets a skill set that naturally lends itself to entrepreneurship. They’re trained to be leaders in any situation. They put their mission first and don’t let uncertainty or obstacles get in the way. They have an unwavering work ethic and don’t give anything short of their best. Bringing vets with these skills together at The Bunker creates a powerful ecosystem of like-minded, ambitious entrepreneurs who share a common mindset and an incredible bond. But military experience also creates some difficult challenges. When vets return to civilian life from the military, they’re so far removed from the startup space that they lack the access to execute on their vision — they don’t have the capital, mentors, investors or the networks to turn their idea into a company. The Bunker is their gateway to the entrepreneurship community. It opens the door to the larger startup world and the people, companies and resources that come with it. That’s one of our primary goals — to help them find the tools they need to be successful. Vets and their businesses need to be embedded in mainstream society, too. That’s why The Bunker sits inside 1871, the epicenter of Chicago’s startup scene — so our entrepreneurs are as much a part of the city’s business hub as they are of the veteran community. The Bunker is young, but we’re already growing our footprint. News of and excitement around The Bunker spread so quickly to vet groups nationwide that we’ve built a network of Bunker incubators in 7 cities across the US. The best part? I’ve met less than half of the folks leading the charge in those 7 cities, but because they’re all vets, I trust them to carry the Bunker vision forward — just as I trusted the guys next to me when I served in the Navy. That’s the kind of community that has each others’ backs. Editor's note: Today’s guest blogger is Antonio Galloni, founder of Vinous, a website and media platform providing first-hand insights into the world of wine. See how other forward-thinking organizations are investing in mapping technology and transforming their business: Maps are Going Google. Every wine tells a story. In a sip, you can learn what region the wine is from, the type of grapes grown to make it, the vineyard and even the winemaker. Together, these components paint a picture of the wine’s history and personality. At Vinous Media, we aim to share these stories through videos, images and information that feature our winemakers and the vintages we produce. Google Maps for Work helps us make those stories come alive. Vinous caters to wine collectors and enthusiasts who want to know more about where and how their favorite wines are made. We realized that overlaying those details on a map would give visitors insights on specific regions and wines without needing to travel to vineyards in person. We also wanted to marry our maps with the decades worth of reviews and analysis I amassed during my time as the founder of Piedmont Report and lead critic for The Wine Advocate. We needed the maps not only look good and be easy for our members to navigate, but also be able to integrate layers of data. Google Maps met these challenges perfectly. 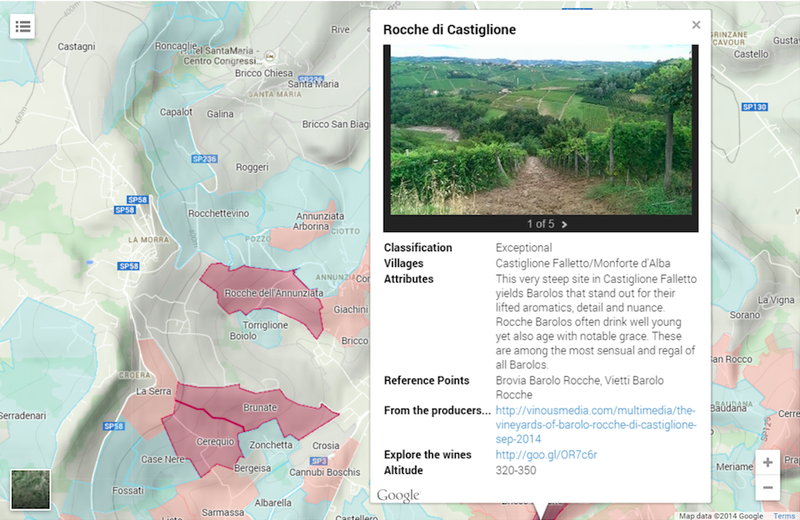 Using Google My Maps Pro, we created Vinous’ first maps on Italy’s Barolo and Barbaresco regions. The vineyards are color-coded by our own classification system, outlining what locations we deem to be “exceptional” or “outstanding.” Clicking on a vineyard opens a window with more information, including ownership and history, and notable wines they make. We also provide information on any reviews or tasting notes we’ve done for wines from that vineyard. This is a unique approach to the wine publishing business, bringing together maps and content to offer a complete picture of what a wine’s all about. We anticipate even more innovation in our vineyard maps, giving wine connoisseurs stronger connections to the birthplaces and stories behind their favorite wines. We’re glad we chose a company that’s as excited about our maps as we are.